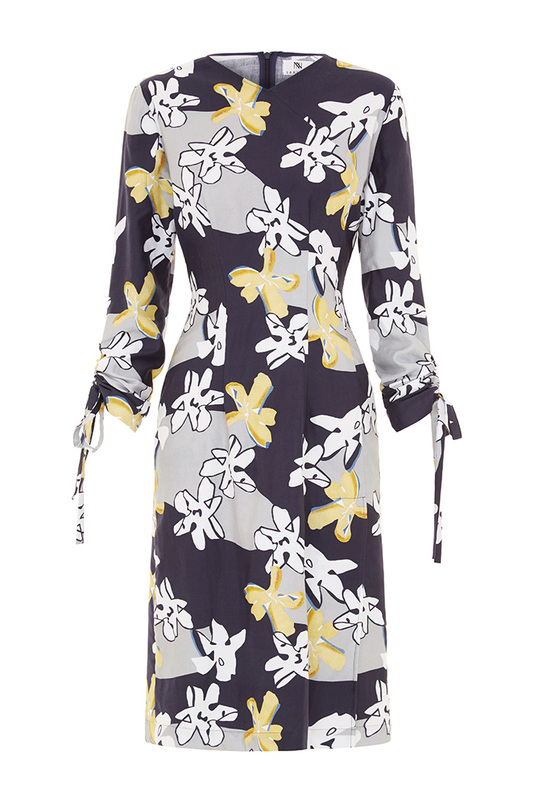 Ivy Dress in abstract flower print fabric with ties on the sleeves. 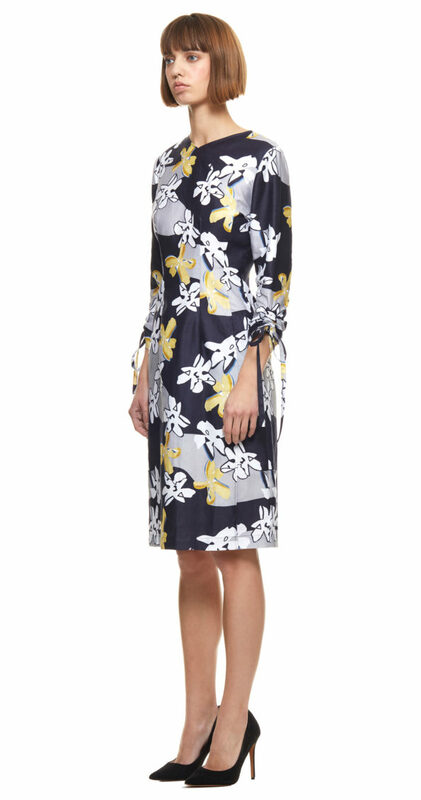 The dress has an invisible zipper closing in the back. 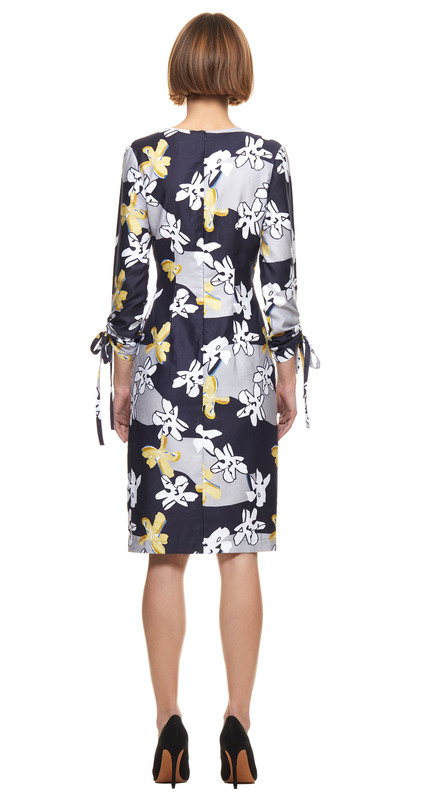 This is a perfect wedding guest dress. It looks great with both heels and flats.